Mumbai: Rishabh Pant's blazing half-century guided Delhi Capitals to a 37-run win over Mumbai Indians in their Indian Premier League opener here Sunday. 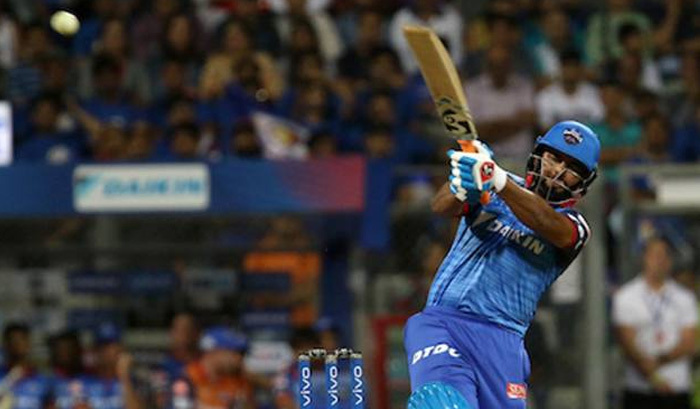 Sent into bat, Delhi were helped by Colin Ingram's 32-ball 47 and Shikhar Dhawan's 43 at the Wankhede Stadium, before Pant smashed the Mumbai bowlers for seven sixes and as many fours to power them to 213 for six. Mumbai Indians: 176 all out in 19.2 overs (Yuvraj Singh 53).